This hints at Ivy Bridge and possibly Kepler graphics when they ship in the next quarter. At least that’s what we are all hoping. We do know that the line-up includes a second 15.6-incher in the P850 and two 17.6-inchers in the P870 and P875. They will feature a metallic finish, LED backlighting, a backlit keyboard, Slip Stream audio, four USB 3.0 ports, an HDMI out, WiDi and BlueTooth 4.0. 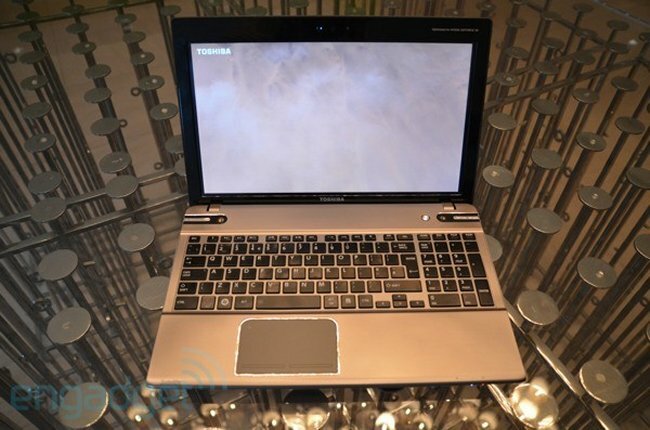 Options include a Blu-ray drive and hybrid hard-drive (8GB solid, 750GB spinning). We don’t have any info on pricing yet, but it is thought that they will start at £599 ($940).